Art student Katie Hampson, from Fleetwood, is currently exhibiting three paintings in the Society of Women Artists’ (SWA) annual exhibition, at the Mall Galleries in London. 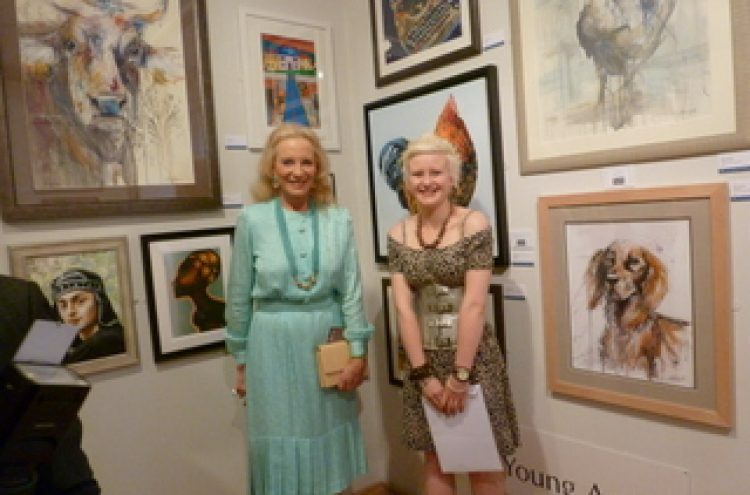 The exhibition was opened by the SWA patron Princess Michael of Kent. Katie’s body of work was chosen by the editor of The Artist Magazine for an award. The magazine will also run a feature on her in a forthcoming issue. Katie is currently studying fine art, animation and illustration at Bolton University. Further examples of her work can be seen on her website at http://www.outputt.com/.